As some of you know, I’m from Barcelona. I still get goose pumps every time I listen Joan Manel Serrat’s song ‘Mediterraneo’ which is an ode to the landscape and lifestyle around the Mediterranean Sea. So, when Pinot, Pasta, and Parties Italian cookbook arrived to my hands I opened it with a truly critical sense. I say to my friends that Catalan food resembles Italian food except for the fact that we don’t do pasta and our pizzas don’t have cheese (and by the way, this makes the conversation even more confusing). So, when I was reading the book, I checked the ingredients and cooking techniques to see if it has a real Mediterranean heritage… Or not. Conclusion: it does. Olive oil, garlic, fresh herbs and vegetables, tomato-based sauces and easy going desserts. This makes me think of my home and dying to try these meals! I imagine myself at a tiny table, eyes semi-closed to protect them from the bright sun over the Sea. The “Mare Nostrum” Sea. 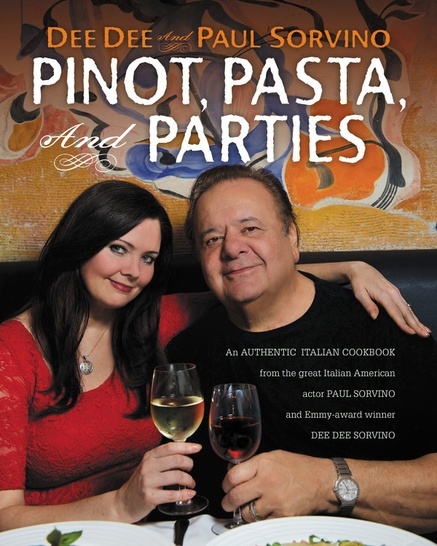 Dee Dee and Paul Sorvino wrote a book that transports you from their love story to the expertise of many years in the kitchen cooking for family and friends. An authentic Italian Cookbook! 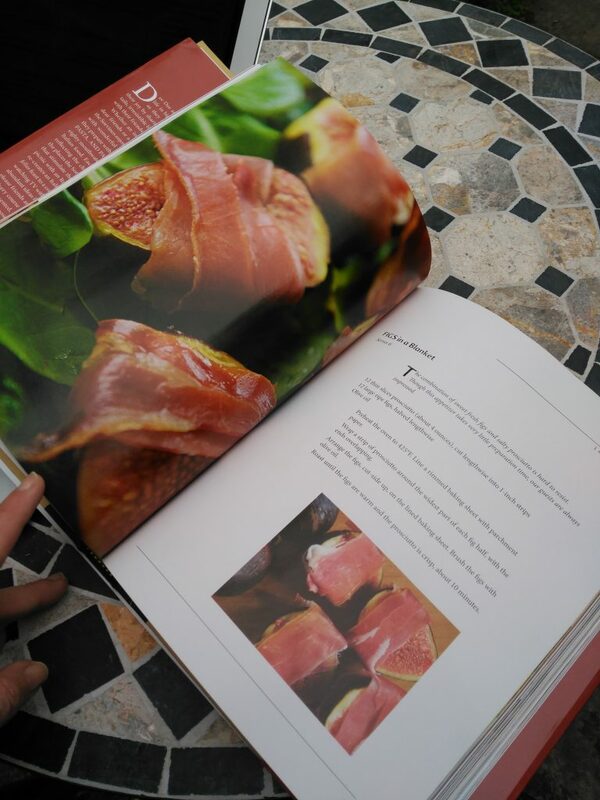 The book has menus with a full Italian set: aperitivo, antipasto, primi, secondi, contorni, insalta and dolce. And a bonus: Dee Dee offers a special cocktail in every chapter!. The good: you have plenty of recipes to match any occasion. From easy to more time consuming. From munchies with friends to dinner-to-impress your mother-in-law. The bad: though it has a great chapter describing the most famous Italian grape varieties, I missed the authors assessment about the best wine to pair in each recipe. Check what was my menu selection and its Italian wine pairings. FYI: I’m deliberately avoiding any pizza or pasta selections. Warning: Do not eat everything at once! Why? : You’ll impress with your sophistication and it will take no time. There are many variations of this simple recipe: the juicy and sweet of the fruit with a pinch of salt from the meat. Also try it with pineapple or do it with bacon and dates. My way: You know… I’m from Spain, so, I made mine with Iberian ham instead of prosciutto. Pairing: Let’s begin with a fizzy Lambrusco from the Emilia-Romagna region. Invest a little on it and you will get a refreshing, bone-dry sparkling wine that will prepare your palate for more! Why? 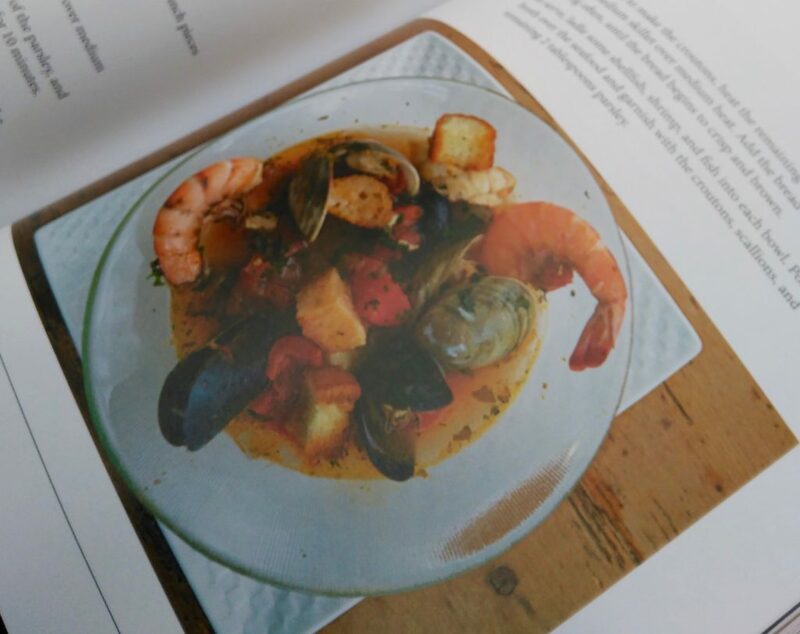 : Living next to the Great Lakes… I miss coastal fish and shellfish so much, so I can’t resist trying this recipe. The more fish and shellfish you put in this, the better. Make your own combination and follow the cooking instructions to make this delicious soup. Pairing: Pinot Grigio at last! I recommend you look for a wine from Trentino-Alto Adige or Friuli-Venezia regions. You won’t fail. Why? : The picture brought me straight to my grandma’s kitchen!. One of the easiest, healthiest, tastiest recipes you can make! My way: No parmesan cheese for me. Pairing: A Sangiovese from Chianti Classico region here. There is an enormous variation in styles but you can find a perfect fit: medium-bodied and high acid with earthy flavors that will connect perfectly with the lentils. Why? : Open your mind and try one of the most comforting and delicious Italian specialties. Ossobuco, for me, is the king. This is one of the greatest meat stews you can imagine! My way: Follow the instructions to the letter to reach heaven! Pairing: This dish deserves to go bold. Italy is famous for having one of the boldest, full-bodied wine varietals of the world: Nebbiolo. Try it from the Barolo or Barbaresco regions and you won’t be disappointed. Prepare yourself for a little relaxing nap after the meal! Why? : This is so tasty and easy! You don’t need to do any special grocery shopping to do this recipe. Take the leftovers from your fridge or do it with your favorite vegetables. My way: Always add onion. Why? : Just the title made me salivate! It sounded so refreshing that I could not avoid serving this recipe next to the Ossobuco. This turned out to be the perfect counterbalance: an easy, original, mouth-cleansing salad. The best: you can make a wonderful dessert and you won’t need to plan in advance. I’m sure you have all you need in the pantry. My way: I didn’t add the vanilla extract, but it tasted great! Pairing: I skipped the wine here, but I went Limoncello!. A real Italian meal can always end with their best liquors: try a shot of Grappa or Limoncello. 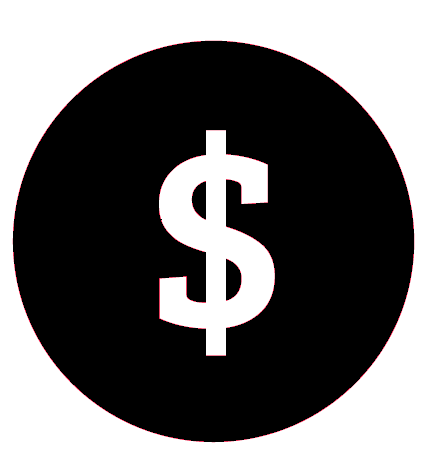 Now, your opportunity. Take this book and make your own Italian festival! You can find this book at Amazon or Barnes and Noble. Yummy…Wine & Food such amazing combo 😉 Saving for my girls night! Yes, It can’t be better!